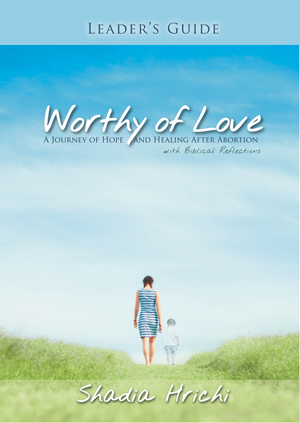 Leader's Guide for "Worthy of Love: A Journey of Hope and Healing After Abortion." The Leader's Guide includes the full copy of Worthy of Love (member book) followed by a step-by-step companion Guide for group leaders. NOTE: If you already possess the member book and simply want the Leader's Guide, you can download the full Guide by simply clicking "View Book Sample." Planning to lead a Group? Scroll down to learn about FREE resources. Starting a Group? Need Resources? Click here to visit the Worthy of Love RESOURCES page.